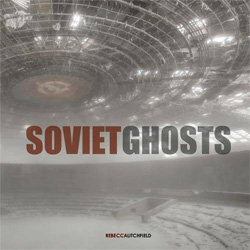 Soviet Ghosts is a compelling and interesting book that grants you an insight into an area of the world you'll most likely never get to visit â€“ the abandoned buildings and places of the Soviet Union. The photos contained in this book are thought provoking and spooky. There are images of hospitals, old school gyms, and abandoned homes, theatres and public spaces that are in a dire state of disrepair. In each chapter of the book, the photographer gives a brief outline of the trip, why they went and anything interesting that happened to them along the way. They wish to preserve the memories and stories of these places while they are still here, before they disappear completely. This isn't easy, as many of the places visited are off limits to tourists. The book covers locations in the Eastern bloc, from East Germany to Russia, Bulgaria and Estonia. There are also images from the town of Pripyat in the Ukraine, which was abandoned after the Chernobyl disaster in 1986. A literal ghost town, the area is bleak, dark and foreboding, and the photographer captures the atmosphere of the place brilliantly, including chilling images of the former nursery building where dolls are left lying on the floor and there are odd shoes and bedding strewn on the floor, showing the speed at which people were forced to leave. These images capture a moment in history that would be lost forever if it weren't for the photographic medium capturing it in brilliant clarity and preserving it, at least in a photography, before it falls into further disrepair. Overall, this book is a brilliant insight into the abandoned world of the Soviet Union. It's great if you're interested in urban exploration photography, and what to see what stunning imagery can be achieved if you're able to be granted access to these places and roam around them safely. A truly enticing and thought provoking read.